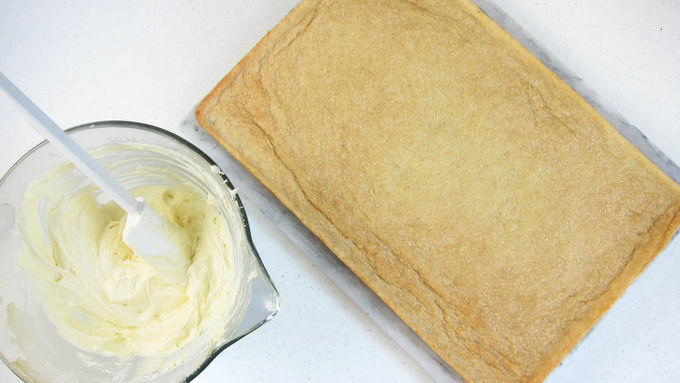 Beat the butter until light and fluffy. Add the Betty Crocker™ Sugar Cookie Mix and egg and beat just until combined. Press the cookie dough into a thin layer in the prepared pan. Bake for 12 to 15 minutes until golden brown. Remove from oven and allow to cool completely. 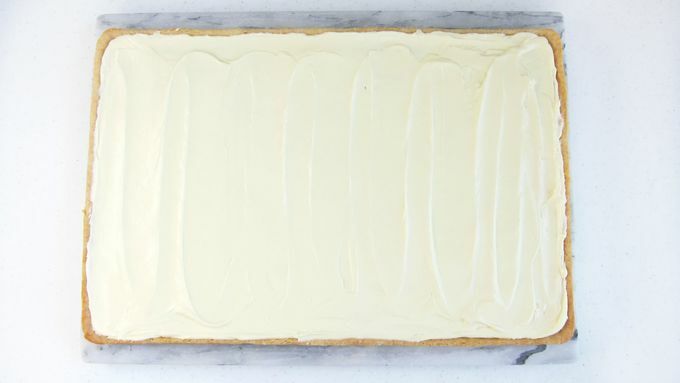 Beat the cream cheese and lemon curd together until light and fluffy. Add the whipped topping and beat until well combined. Spread over the cooled cookie crust. Cut some of the slices of kiwi in half and arrange, overlapping slightly, around the outside border of the cookie. 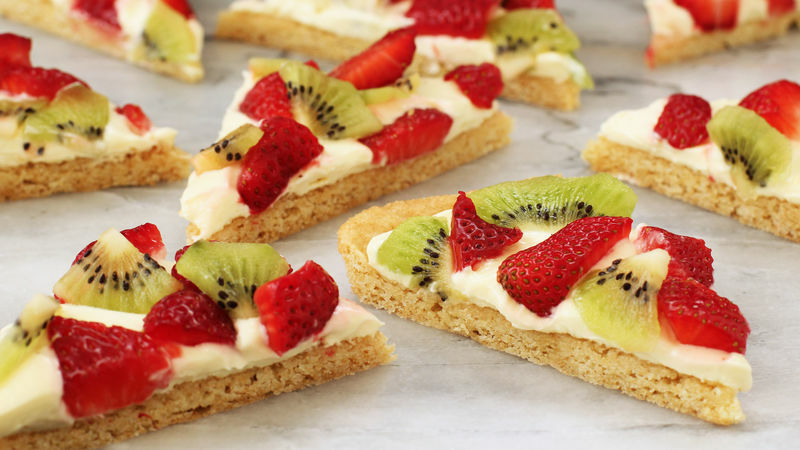 Cut the remaining kiwi into smaller pieces and arrange them along with the strawberry slices over the lemon cheesecake filling. Store in the refrigerator until ready to serve. 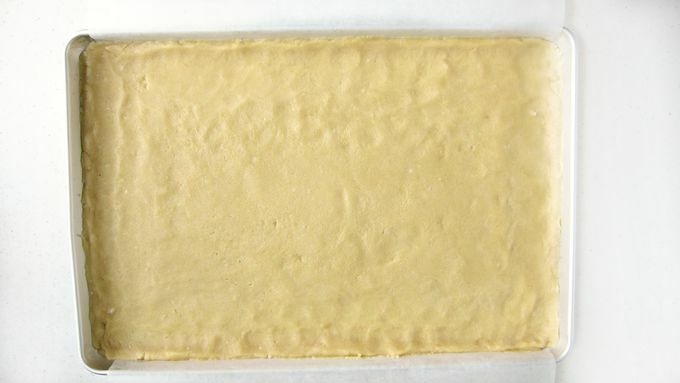 Cut the bars into 15 large squares (5 cuts by 3 cuts with the knife). Then cut each square in half diagonally to create triangles. If you prefer, you can cut the cookie into triangles before frosting with the lemon cheesecake filling and topping with fruit. 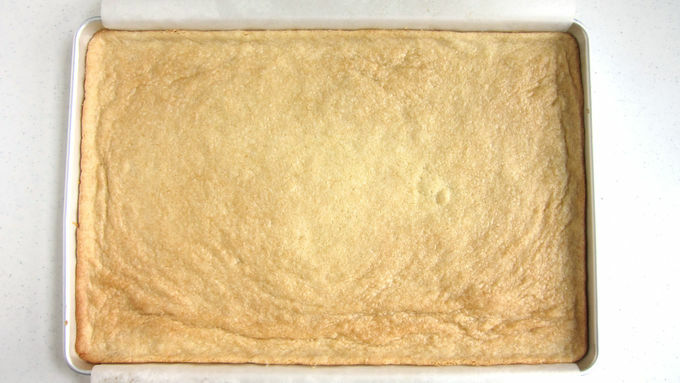 You can serve the entire pizza in the baking pan or remove it and set it on a serving platter or cutting board. Fruit pizzas might just be the perfect dessert for anyone with a picnic or potluck on their calendar. They can feed any number of people who might show up at a party, and they pack a big visual punch without requiring a lot of effort to do it. And they’re pretty fun to make, to boot. 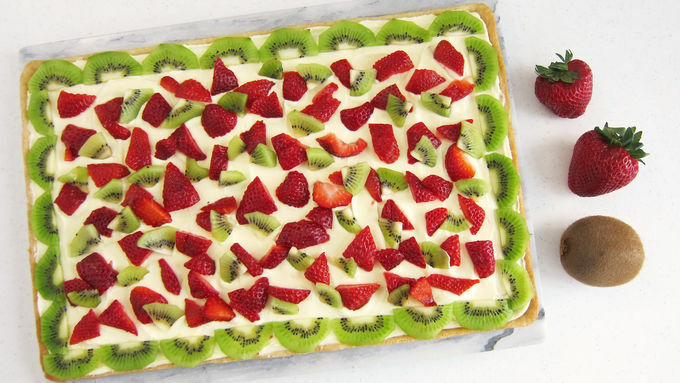 This version is spread with a lemon cream cheese filling and topped with kiwi and strawberries, so it’s perfect for summer (or any time of year, really). 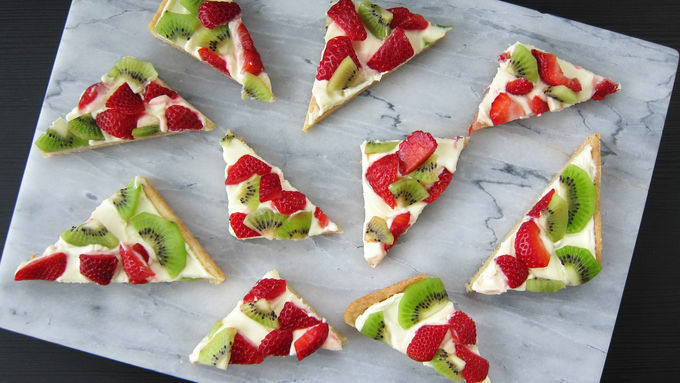 But the great thing about fruit pizza is how easy it is to customize. You could do raspberry and blueberry for the Fourth of July; in the fall, maybe do a caramel cream cheese spread and top it with chopped apples. The possibilities are endless!